Marahlago box-link sterling silver chain with a black rhodium plating. Includes adjustable links. 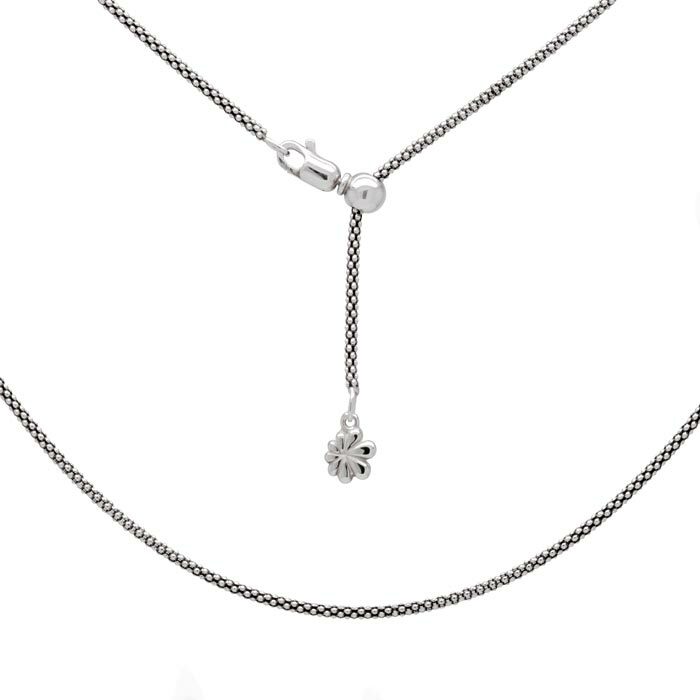 Sterling silver chain with easily adjustable links and lobster clasp that you can set to the perfect length for your look! Adjustable up to 25" long.